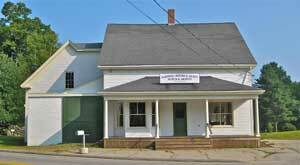 The Museum was built in 1901 and served Harpswell as the Bailey Store until it was purchased by the Society in 2000. 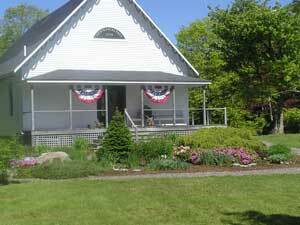 The museum is open on Sundays from Memorial Day to Columbus Day from 2:00 to 4:00pm. Our archives are kept in a climate controlled vault. They are available for research when we are open and by appointment. Exhibits include changing displays of Harpswell memorabilia. We have a large collection of artifacts, including a Brown Bess musket built in the Tower of London in 1775. Built on the 100th birthday of the United States by 100 local subscribers, it is used for art shows, theatrical presentations and other events. 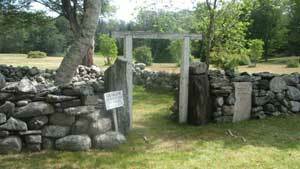 It is located across from the Museum by the formal garden designed and maintained by the Harpswell Garden Club. Built in 1889, this restored one room school house is visited by local school children. The cattle pound was used for keeping cattle that had wandered away from home until the owner paid the fine and took back his animals. 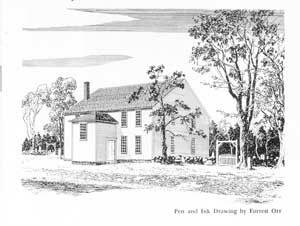 Constructed in 1757, the Meeting House is owned by the town and operated by the Society. 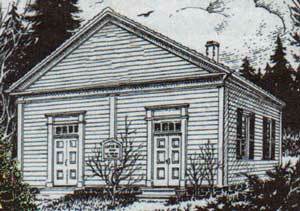 It has been used as the town office, and as a meeting place and place of worship for many years. It is a National Historic Landmark. 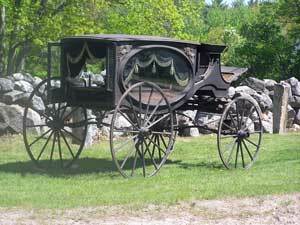 A horse drawn hearse came to Harpswell Center in 1873. It was last used in 1931. 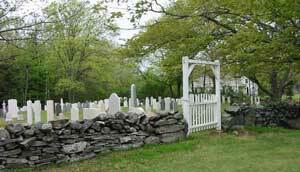 Located next to and behind the Town Meeting House, it is one of many cemeteries located in the Town of Harpswell. Built in1843, this former Baptist church is a National Historic Site. It was given to the Society by the Sebascodegan Garden Club. Its reverse pulpit makes it unusual. 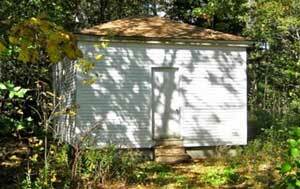 It is located on the Cundy’s Harbor Road. 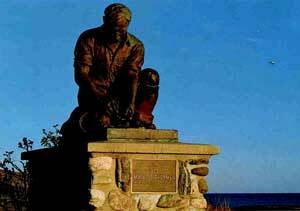 This is a copy of a memorial to all Maine fishermen who devoted their lives to the sea. The original statue was built for the Maine exhibit at the1939 World’s Fair. Our copy was built by Islander in 1976. The Museum received the statue in 2001. The statue is located on Bailey Island at Land’s End.